AHHHH!! Was the feeling that I woke up to inside my head!! Some seriously large accounts on Instagram caught onto my Blue Manicure and it seems like everyone went crazy for them. I couldn't be more grateful!! Its all very exciting!! 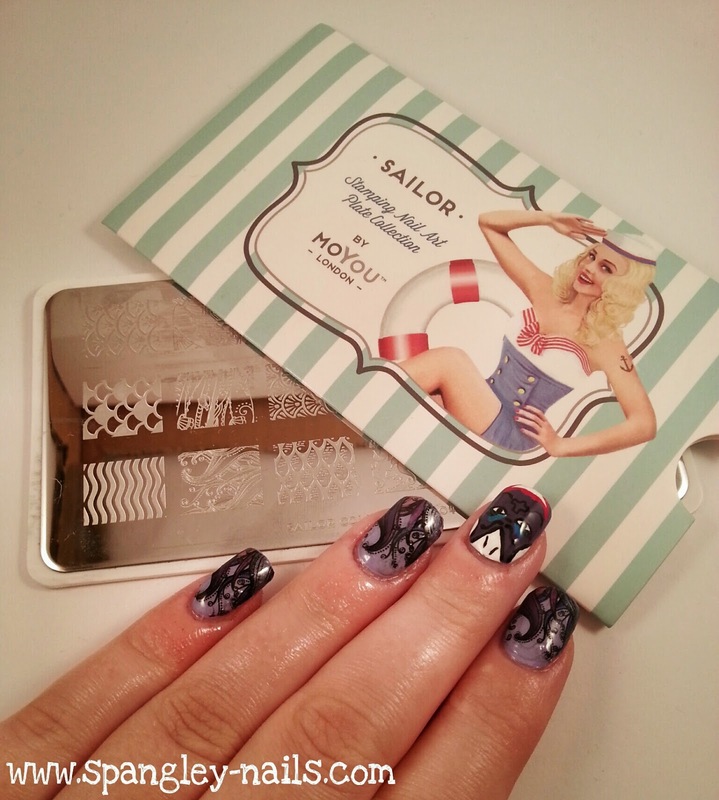 Onto today's nail art though... I was working this morning, and admittedly was thinking about it all day. I don't know about you, but the only thing I can think of when you say purple is rain. But how naff is that, really. Great song - but not such a great manicure I think! I did my usual, skim through the plates for inspiration, when I hit Sailor Plate 04's Octopus tentacles stamp and then SHE hit me... URSULA!! 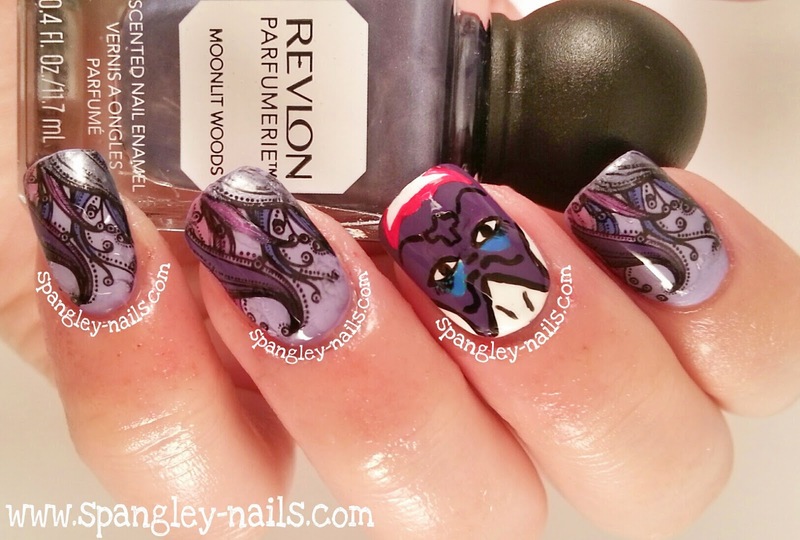 I have done Ursula from The Little Mermaid on my nails before - you can read that post here - but I have to say I much prefer this version of the purple sea witch! I started off by painting my index, ring and pinkie fingers with Your're Such A Budapest from the OPI Euro Central Collection. I painted my middle finger with Amethyst. 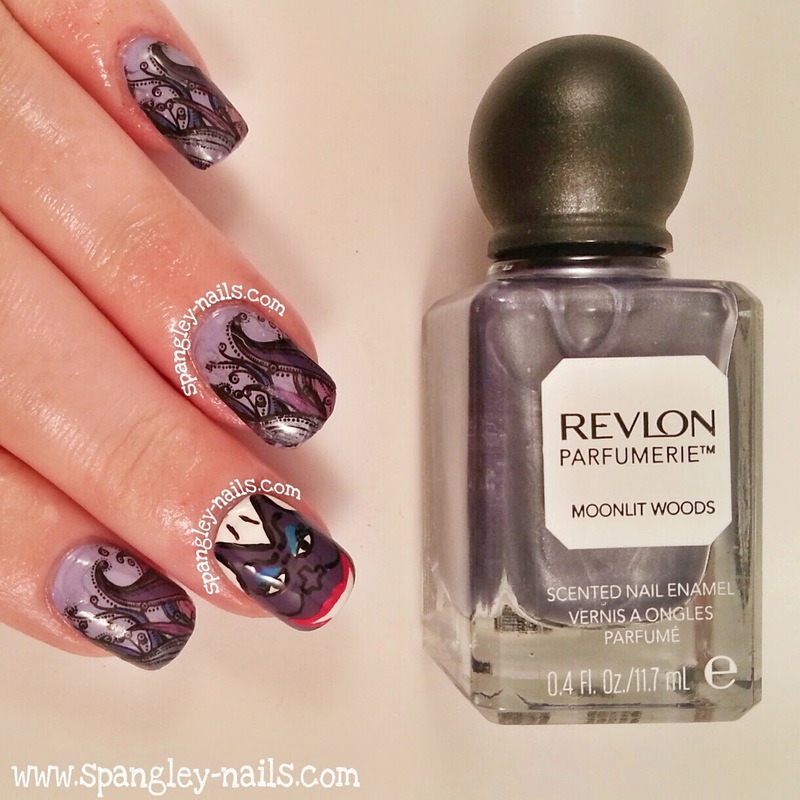 I used a combination of my previous Ursula manicure a picture online to create her face on my middle finger using Snow Me White, Black On Black, Adventure Red-y and the Color Club Blue. For her tentacles I made decals using Sailor Plate 04 and Black On Black, Moonlit Woods, Lively Lilac, Purple Reign and the Color Club light purple. All my nails are topped off with 2 thick coats of Seche Vite. Tomorrow is the last day for the MoYou Challenge and its PINK! 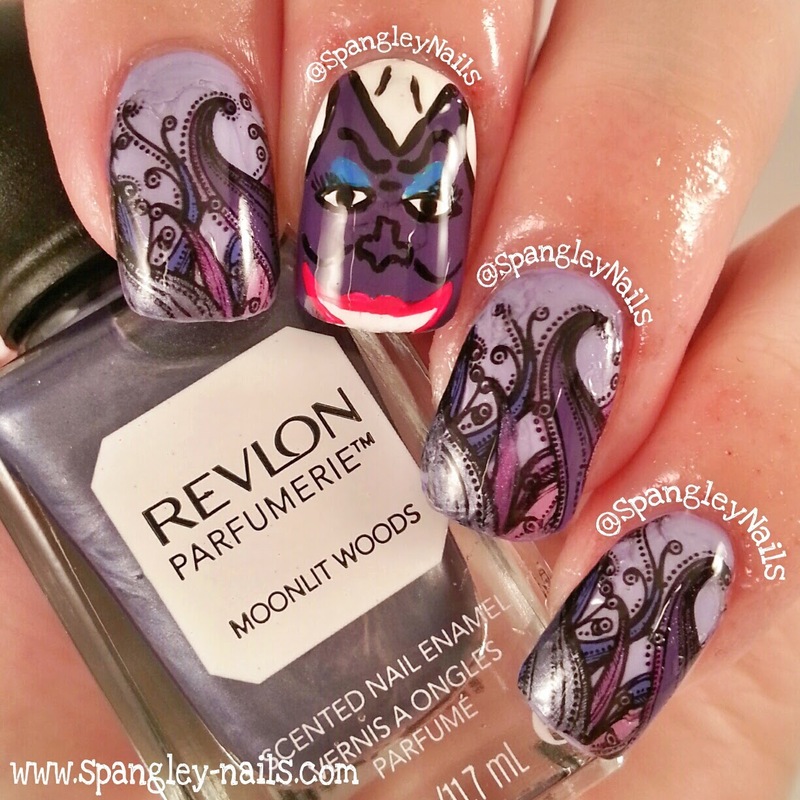 Be sure to check back to see what Spangley Nails has in store for it! 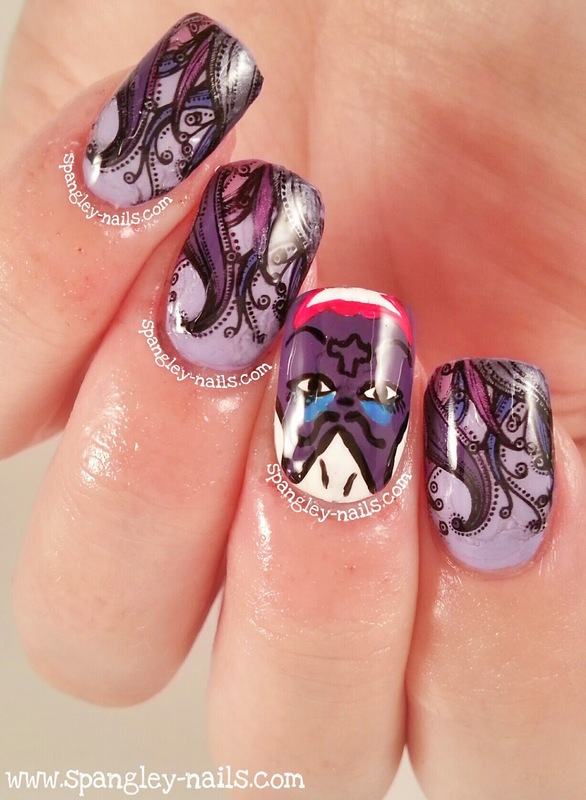 In the meantime - have you ever done nail art and thought, its just not that good or for some reason you just were not happy with the outcome and didn't publish it? Yup, me too!! Rather than them take up space in my Dropbox or my PC, I've decided I'm going to publish them every now again! So heres one I made earlier in preperation for Pink themed day tomorrow (No stamping). Glitter gradient using OPI - Kiss Me On My Tulips and nails inc - Conduit Street.